Characteristics of the real-time PCR machine "ANK"
ATC-SD laser diodes in CW operation mode or pulsed one with pulse duty factor more than 0,3% and pulse duration more than 500 ms require additional cooling. Two types of cooling heads are offered. The first model - ATC-10H is used with laser diodes with CW output power from 500 to 10000 mW, packed into TO-3 case. ATC-10H has high efficient Peltier thermocooler anf slide-contacts connector for standard TO-3 cases, which allows to replace the laser diodes easily. Also this cooling head is equipped with mini-fan as a forced cooling system. The second laser head - ATC-05H also has incorporated Peltier thermocooler with higher efficiency and is being used with laser diodes packed into ATC case. Besides that, ATC-05H is equipped with mini-fan as a forced cooling system. This head provided CW operation of all laser diodes packed into ATC case. The laser cooling heads indicated above can be used for CW operation of all laser diodes produced by ATC-SD. ATC-10H and ATC-05H may be completed with additional focusing optics model ATC-5032. 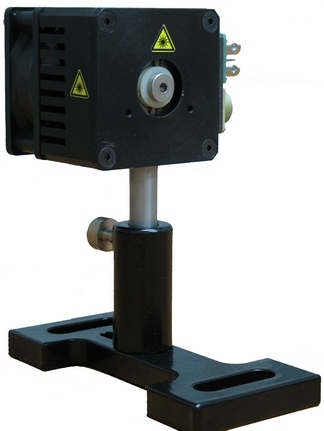 All the heads are simple in use, portable, reliable, and ideal for the long-term operation with the ATC laser diodes.